With the rising number of smart phones along with the growing flow of digitalization, one can easily find out the real time location based on information on their handsets. Not only outside the buildings but anyone can easily find the location inside the building as well. So Indoor Location is a system that is use to locate people or object inside the building with the help of radio waves, magnetic fields and other sensors and can navigate their path towards the destination. It is also known as indoor localization as it collects or locates anything inside the premises. With the help of radio waves and signals collected by devices such as smart phones, anyone can easily locate people or object inside the premises. The absence of satellite signal inside the premises is growing the need for Indoor Location systems so that connected objects or people can be tracked. Penetration of global positioning system (GPS) technologies in the Indoor Location system enables navigation in the indoor building, such as malls, mega-stores, casinos, airports and others public areas. There is less complexity in installing these GPS technologies. Thus, the exertion of these technologies becomes hassle free for users. It is seen that in the former years, many companies have collaborated to work upon Indoor Location systems such as Polaris Wireless collaborated with Global telecom, a Philippines based company, to work upon Indoor Location systems. The increase in number of smart phones is the biggest growth driver which helps the Indoor Location system installers to provide better services. 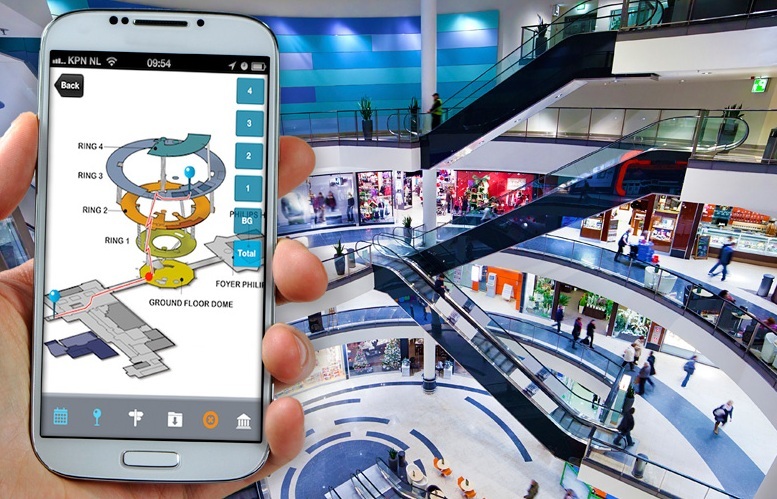 On the other hand, lack of awareness among the population about the use of indoor positioning system, creates cynicism among the end-users to deploy Indoor Location systems inside the premises. Global Indoor Location Market is expected to reach USD 28.2 billion by 2024 from USD 4.82 billion in 2016, growing at a CAGR of 38.2% during the forecast period. Professional services segment dominated the overall Indoor Location services segment with a market share of 58.2% in 2016 on the back of spiked demand form developed countries. With the successful maintenance of privacy of costumers and at the same time allocating their location in the organization, the context accelerator software tool is dominating the market and is expected to grow at a highest CAGR of around 7.0% during the forecast period. On the basis of region, North America is said to dominate the global market with a market share of 30.2% by the end of 2024 due to availability of advanced connectivity wireless technology and technologies such as 3D based indoor positioning system. High penetration rate of smart devices such as smart phones, smart wearable, and others are providing ease to the indoor position and indoor navigation system integrators to set-up their systems. Moreover, Asia-Pacific region is one of the most opportunistic markets for the Indoor Location Market players. Rising penetration of smart phones along with the deployment of 4G bandwidth in emerging countries such as China, Japan, Singapore and others are providing ease to the end–use industries to deploy Indoor Location systems. Limited tracking facility of GPS technology in indoor locations. Rising concerns among the government authorities towards public safety. Advanced bandwidth and internet connectivity services. There are some market challenges for the market players and end-use industries to integrate Indoor Location systems. Lack of awareness among the population towards the usage of advanced technology. Lack of infrastructure in developing countries across the globe. Complexity and high cost associated with the integration of Indoor Location systems. The two top players of global Indoor Location Market i.e. Apple inc. and Google have announced advancement in their mobile operating system related to Indoor Location and have said that now people can be traced 75% faster inside the premises. About more than 65% of healthcare facilities are not familiar with Indoor Location systems. There would be a huge opportunities for the market players and system providers to introduce their products and solutions for healthcare sector.